Come and see the Anam Cara Missional Spiritual Direction Program to see if it is a good fit for you! What happens at Come & See? Over the course of two years, Anam Cara takes the director-in-training through six retreats which offer instruction, small group experiential learning, readings, spaces for worship and prayerful solitude. Between the retreats, participants will engage in online course work and home-based practice which hones the essential skills of active listening and discernment to recognize the hand of God in our own and others’ narratives. We will learn to live into the Great Story of God, and begin to see how all of our stories find their place in God’s divine narrative. New Cohort cycles begin every September with retreats in September, February, and May. Each retreat is $500 ($1500 per year). Apply here to join Anam Cara today! Retreat rhythm will begin on a Thursday immediately after lunch and end on Saturday at noon. This year’s application deadline: August 16, 2019. If you happen to find us after this date, please contact us to to see if we have any openings. Matthew Johnson is a contemplative pilgrim walking the spiritual path. His primary calling is to the practice of spiritual direction, helping others listen for God’s guidance in their lives. This calling shapes the rest of his work. In addition to his role as the Director of Spiritual Formation for the Missional Wisdom Foundation, he is also a Neighborhood Animator for the Neighboring Movement www.NeighboringMovement.org a non-profit organization focused on Asset-Based Community Development in Wichita, KS. He also serves as an adjunct professor at Friends University in the area of Christian Spiritual Formation. Rev. Wendi Bernau is a spiritual pilgrim whose lifework focuses on the intersection of art and spirituality. Wendi serves as the Pastor of the Arts with the Missional Wisdom Foundation, through which she facilitates ecumenical and interfaith dialogue, meditation, workshops and retreats. She is also a performance artist in the visual arts, theater arts and music. Her personal ministry and mission practice hospitality and grace for those who seek the transcendent Divine, whether through Christian, ‘spiritual-but-not-religious’ or other Abrahamic faith systems. Ryan Klinck is a practitioner of spiritual direction and guidance amongst the homeless and homesick of our world. He is passionate about bringing spiritual guidance “off the map” to the least of these and other uncharted spaces. Ryan is called to be a bridge builder between the old and the new, creating opportunities of connection between that which has been and is divided and broken in our world. He works with Matt at the Missional Wisdom Foundation and the Neighboring Movement, cultivating his craft as he expands his own map into new areas. Dr. Heidi Miller is a bridge-building pilgrim, seeking to build bridges between theological education and the church as well as the church and world. She is the Director of the Neighborhood Seminary at Duke Divinity School and teaches in the areas of Worship and Spirituality. 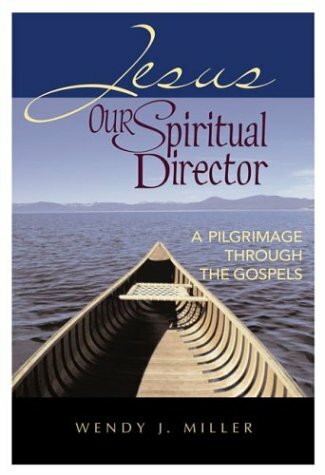 As a seasoned spiritual director, Heidi uses a contemplative model of spiritual direction in action as she supervises, teaches, resources pilgrims. This informs her research in the area of embodied worship, particularly with marginalized communities such as L’Arche, refugees, and pilgrims at the U.S./Mexico Border. She believes that these communities have something to teach the church and the academy as we sojourn together as God’s people. Do I have to be a spiritual director to do this program? No. The Anam Cara program is designed for individuals who feel called to the ministry of spiritual direction. You do not have to have previous experience as a spiritual director. Do I need to have a spiritual director to begin the program? Yes. All participants are asked to have a spiritual director/companion. The reason for this requirement is that meeting with your own spiritual director will establish a healthy practice which will serve you as you serve others in this form of ministry. Can my spouse or family member be my spiritual director? No. A healthy spiritual direction relationship is limited to that role only. An exception might include a pastor who also serves as a spiritual director, but this would be an exception, not the norm. I don’t have a spiritual director. Can you help me find one? Yes. Finding a spiritual director can be challenging, and not every spiritual director will be right for you. If you need help finding a spiritual director, we will do what we can to assist you in that process. Is this a degreed program? No. While there are opportunities for CEUs through Anam Cara there is no degree awarded upon completion. However, you will receive a certificate of completion. What does my certificate of completion represent? It signifies that you have completed all the required components of the Anam Cara program. 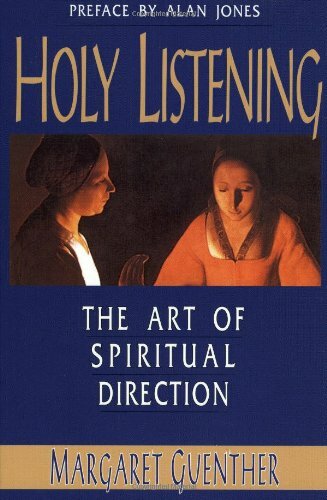 It does not certify that you are a spiritual director because there is no governing body to uphold such credentialing. Some spiritual direction programs require participants to be 30 years old, or older. Our program is open to individuals who are younger than 30, although maturity of faith is an important characteristic of a spiritual director. What about other faith traditions? We respect and celebrate faith traditions different than our own. As a staff, our expertise and perspective is rooted in the Christian tradition. What about other Christian denominations? Anam Cara is an ecumenical program. We do not give preference to one denomination over another. Instead, we seek to discern with each individual if this program is the right fit for them, regardless of their denominational background. If finances for the program are an issue, please contact us to discuss other options. There is not a cohort near me and I cannot afford to fly to the location. Are there travel stipends? Currently there are no travel stipends to subsidize travel, but we would love to have a further conversation with you. Another option is finding a group of ten who are also interested in your area because then we could form a cohort there. I am already a trained spiritual director, can I still participate in Anam Cara as part of continued education? Yes you can! If you are already trained and feel confident in your abilities, you could start with the advanced training, the optional third year of our program. What is the optional third year of Anam Cara? The optional third year in Anam Cara is our advanced training in spiritual direction where participants spend a practicum year discerning a ministry in a missional spiritual direction context. What kind of time am I committing when I enroll in the anam cara program? In addition to the time required for each retreat there will be required readings between the retreats, as well as expectations for meeting with one or two directees during the program and keeping learning logs from those conversations. Do I have to do the two years in a row or can I skip a year or two in between? We recommend doing both years of the program consecutively, however, if circumstances make that difficult we are open to participants stepping out of the program for a year or two. Where is the Anam Cara program located? The first cohort will be gathering for retreats at Haw Creek Commons, just outside Asheville, NC. We are considering the possibility for future offerings in other locations around the country. The cost is $500 per retreat, with 3 retreats each year. The third year is optional, but the same price applies. Does my spiritual director need to be approved by Anam Cara? No. However, someone from the staff of Anam Cara will contact your spiritual director as part of the discernment process of participation enrollment. 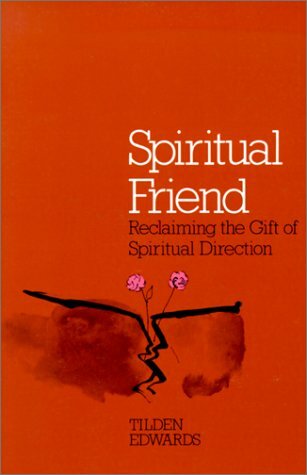 Where can I learn more about what spiritual direction is? There is helpful information at the Spiritual Directors International website, here.